When I first started here at Profit Software in 2014, we were a software company with approx. 100 employees. Now, 5 years later we’re still a software company but after acquisition in 2017 we now have a broader offering and 230 employees. As you might imagine, combining two corporate cultures is never an easy task but I think one of the reasons why we’ve succeeded is the fact that we have been and still are real. Monster carried out an employer image survey* in 2018 and it supports our experiences: employer brand is especially important in software companies and in technical field. This is because there are lots of companies and a limited pool of recruits. Now you’re probably eager to hear: what have we done to stand out? 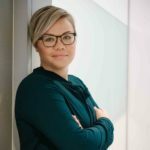 We are a growing company that specializes in the finance sector (actually, a field that is going through some huge changes like my colleague Perttu Heinonen wrote a couple of weeks ago**). We’re happy to be able to honestly say that people working in our company will have a chance to work with interesting tasks, projects and customers – not to mention the best colleagues’. And finally, our benefits are very good. When we asked our newcomers why they’ve decided to work at Profit Software, they answered: “opportunity to work with versatile projects”, “finance and insurance industries are interesting”, or “this company cares about its employees”. These answers make us proud of Profit. This all goes back to what was mentioned earlier: being real. We make sure our promise matches our employee experience. The path to fulfilling this promise has required work. During the past year and a half, we first had to look what kind of company we are – this work still continues – since it’s difficult to tell the outside world who you are without doing some internal work first. According to the survey employer image is indeed something to consider, and it’s based on company values and identity. With us it’s the guiding principles such as trustworthiness, constant learning, low hierarchy organization and a high standard of customer service. One way to bring this up is content marketing and further storytelling. 65 % of the respondents tell that they will put more effort on content produced by their own employees or content that tells about the work community. Those who follow us on our social media channels have probably seen everything from Friday doughnuts to customer references. With these stories we want to communicate who we are: we work seriously, but we don’t take everything seriously. Finally, the survey states that 97 % of the respondents feel that employer image has much or pretty much significance when recruiting new employees. I’m glad to say that we think alike with these respondents. P.s. in case you feel immediate need to work here, please see our open positions. *) Monster’s Työnantajamielikuva 2018 survey was carried out in January 2018. Target was to find out what kind of opinions and experiences related to employer image recruitment experts have. The survey was conducted together with Digitalist Group.